#1 reason that you should use a Licensed NJ Home Inspector would be to “evaluate the structural integrity, electrical, and/or mechanical systems of a house prior to purchase or renovation;”. 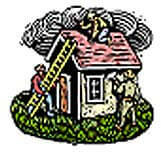 Selecting an unlicensed NJ Home Inspector may save you a few dollars now, but think about what it could cost you later. Licensed NJ Home Inspectors are licensed by the state and must meet education and experience requirements and pass rigorous exams administered by the state. Passing these exams permit Jay A. Tauber, ME,CMI to offer professional services directly to the public. A Licensed NJ Home Inspector is bound by a strict code of ethics. of Jersey Building Inspections to perform your pre-purchase inspection. Licensing helps assure that a professional is competent, trained, and is working in your interest. These qualities are needed by anyone providing pre-purchase home or building inspections. Choose a Licensed NJ Home Inspector for your pre-purchase inspection. Make sure that you verify that the Home Inspector is actually licensed. The purchase of a home, building, condominium unit, or cooperative unit is a major investment. Selecting an unlicensed inspector may save you a few dollars now, but think about what it could cost you later.